Orano Canada — Engcomp. Stay Curious. 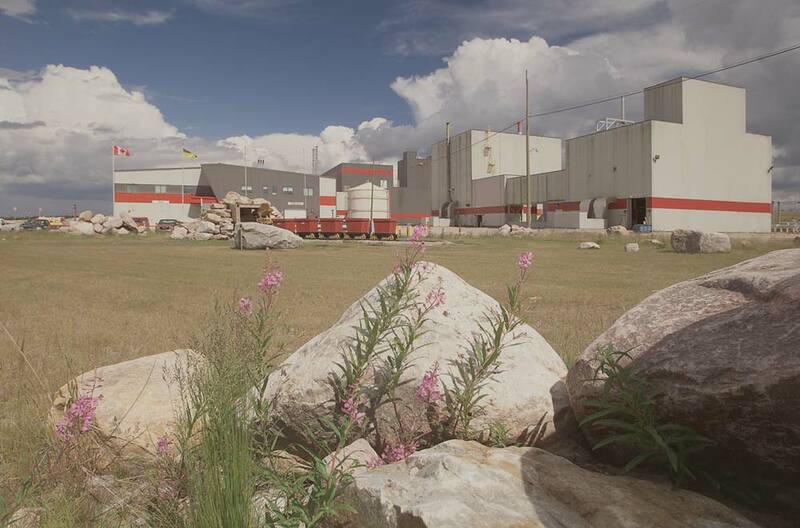 Orano Canada (Orano) planned on increasing the production capacity of their McClean Lake mill which required an expansion of the existing Ammonium Sulphate (CX) Plant to handle the additional barren strip solution and increased ammonium sulphate product. This project involved the participation of Engcomp’s structural, mechanical, electrical & cost engineering teams. Our scope was to advance the CX Plant modification and expansion project through the basic and detailed engineering levels, while supporting procurement, construction and commissioning. Our team also produced capital cost estimates for Orano's stage-gate approval from basic to detailed engineering, with an additional estimate being prepared to help control and budget for construction. The main design intent for this project was to double the capacity of the CX Plant. Design considerations were made for ease of installation around the existing structure and equipment. We also increased the size of the existing CX Plant Control Room, which improved air quality for operators. A building extension needed to house the additional crystallization vessels and a reconfiguration of process equipment and piping was required to allow for a second circuit. We designed for the addition of new HVAC equipment and ion exchange columns as well as additional equipment that was required in the reagents area to support the CX Plant expansion. The original RFP indicated that the CX Expansion would occur in two stages. After basic engineering was completed according to this original plan, it was determined that there was a better way to execute the project. We recommended that a single-phase approach for design and construction would provide substantial benefits for the project, in terms of budget and construction schedule. This change actually required more engineering effort to complete, but the overall cost savings were substantial. Engcomp worked closely with Orano, the crystallization process designer and equipment supplier, and other service providers to design, manage, and support this expansion. We produced capital cost estimates for Orano’s stage-gate approval, to advance the project from basic to detailed engineering, and prepared an additional estimate to help control budget during construction. Construction was completed on-budget and on-time, with few requests for information from the field. Engineering was completed on-budget and on-schedule, with involvement from Orano, vendors, and other service providers, including major equipment vendors and the EPCM consultant for the overall mill expansion. The deliverables produced for this project included 396 engineering drawings that were produced for construction.